90% of the pastors report working between 55 to 75 hours per week. 70% of pastors feel grossly underpaid. 90% feel they are inadequately trained to cope with the ministry demands. thought it would be like before they entered the ministry. 70% of pastors constantly fight depression. they could, but have no other way of making a living. 80% believe pastoral ministry has negatively affected their families. 80% of spouses feel the pastor is overworked. 80% spouses feel left out and under-appreciated by church members. 70% do not have someone they consider a close friend. 40% report serious conflict with a parishioner at least once a month. #1 reason pastors leave the ministry — Church people are not willing to go the same direction and goal of the pastor. Pastors believe God wants them to go in one direction but the people are not willing to follow or change. 50% of the ministers starting out will not last 5 years. 1 out of every 10 ministers will actually retire as a minister in some form. 4,000 new churches begin each year and 7,000 churches close. However if you want to get further depressed, read the original article on why U.S. pastors leave their churches in Statistics on Pastors by Dr Richard J. Krejcir. Needless to say, we need to pray for all our pastors. And give them regular sabbaticals! There are actually Christians who believe pastors should never get depressed or burnout if they really know the Lord and have faith in Him. To them the two are contradictory. Why should that happen when the Lord is with them and they have the power of the Spirit, who by the way, brought the world into existence? They forget Elijah, David, Jeremiah and Paul. They forget pastors have feet of clay too. They are made of flesh, blood and have hormones.They go through relational conflicts and experience loss too. They may work under as difficult work environments as executives, as this article USA Today showed……..
What kind of personal pain would cause a 42-year-old pastor to abandon his family, his calling and even life itself? Members of a Baptist church here are asking that question after their pastor committed suicide in his parked car in September. Those who counsel pastors say Christian culture, especially Southern evangelicalism, creates the perfect environment for depression. Pastors suffer in silence, unwilling or unable to seek help or even talk about it. Sometimes they leave the ministry. Occasionally the result is the unthinkable. Experts say clergy suicide is a rare outcome to a common problem. But Baptists in the Carolinas are soul-searching after a spate of suicides and suicide attempts by pastors. In addition to the September suicide of David Treadway, two others in North Carolina attempted suicide, and three in South Carolina succeeded, all in the last four years. Being a pastor—a high-profile, high-stress job with nearly impossible expectations for success—can send one down the road to depression, according to pastoral counselors. “We set the bar so high that most pastors can’t achieve that,” said H.B. London, vice president for pastoral ministries at Focus on the Family, based in Colorado Springs, Colo. “And because most pastors are people-pleasers, they get frustrated and feel they can’t live up to that.” When pastors fail to live up to demands imposed by themselves or others they often “turn their frustration back on themselves,” leading to self-doubt and to feelings of failure and hopelessness, said Fred Smoot, executive director of Emory Clergy Care in Duluth, Georgia. Most counselors and psychologists interviewed for this article agreed depression among clergy is at least as prevalent as in the general population. 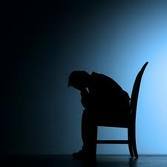 As many as 12% of men and 26% of women will experience major depression during their lifetime, according to the American Medical Association. “The likelihood is that one out of every four pastors is depressed,” said Matthew Stanford, a professor of psychology and neuroscience at Baylor University in Waco, Texas. But anxiety and depression in the pulpit are “markedly higher” in the last five years, said Smoot. “The current economic crisis has caused many of our pastors to go into depression.” Besides the recession’s strain on church budgets, depressed pastors increasingly report frustration over their congregations’ resistance to cultural change. Nearly two out of three depressed people don’t seek treatment, according to studies by the Depression and Bipolar Support Alliance. Counselors say even fewer depressed ministers get treated because of career fears, social stigma and spiritual taboo. “Clergy do not talk about it because it violates their understanding of their faith,” said Scoggin. “They believe they are not supposed to have those kinds of thoughts.” Stanford, who studies how the Christian community deals with mental illness, said depression in Christian culture carries “a double stigmatization.” Society still places a stigma on mental illness, but Christians make it worse, he said, by “over-spiritualizing” depression and other disorders—dismissing them as a lack of faith or a sign of weakness. Polite Southern culture adds its own taboo against “talking about something as personal as your mental health,” noted Scoggin. The result is a culture of avoidance. “You can’t talk about it before it happens and you can’t talk about it after it happens,” said Monty Hale, director of pastoral ministries for the South Carolina Baptist Convention.